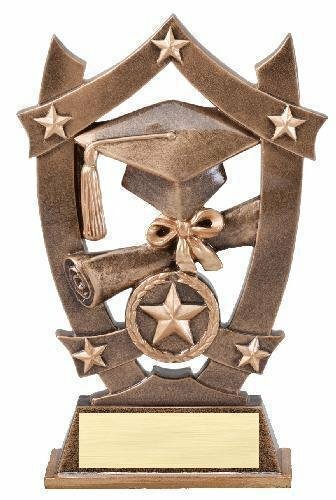 Graduation trophies, medals and gifts help commemorate that special graduation day. Whether you need an economy award or a personalized gift, you are sure to find the perfect graduation gift. FREE Shipping on orders over $100. FREE Engraving. 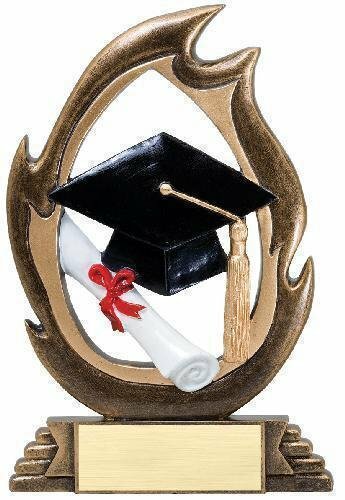 The Flame Graduation Trophy is a unique resin award. These graduation trophies have an antique gold finish. 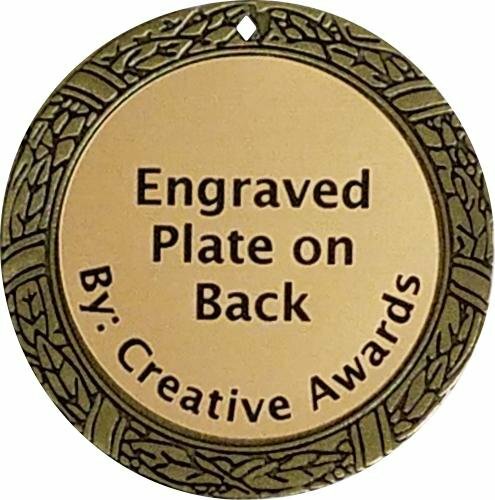 The graduation award comes with a brushed gold laser engraved plastic plate. 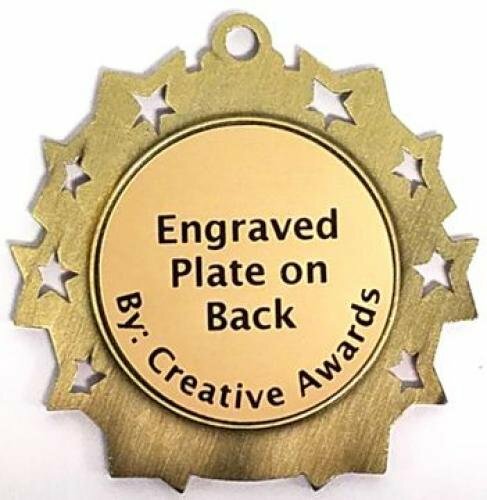 All graduation awards include free engraving. This Female Graduate Bobblehead resin award is arguably the most adorable bobble head on the market. It comes with a brushed gold laser engraved plate. This Male Graduate Bobblehead resin award is arguably the most adorable bobble head on the market. It comes with a brushed gold laser engraved plate. 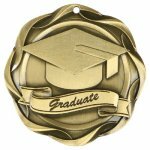 The 3D Graduate Medal is a thick 2 inch medallion that has a deep cut 3D relief. This award medal is available in antique gold, silver and bronze finish. 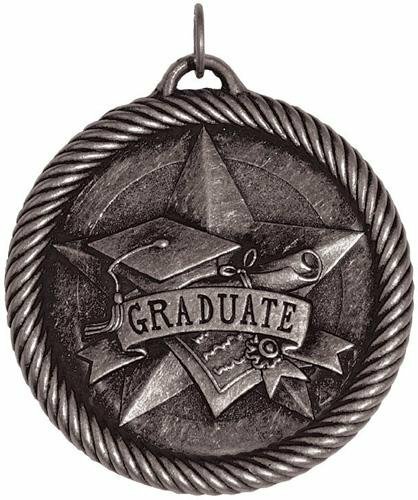 These Graduate medals look great with your choice of a either a 7/8 inch or 1.5 inch wide neck ribbon. 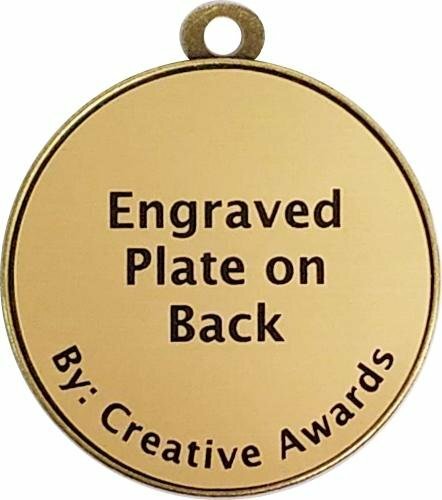 The back of these Graduate medallions have a 1.75 inch diameter space for an engraved plate that can hold up to 6 lines of engraving with 12 to 20 characters per line. 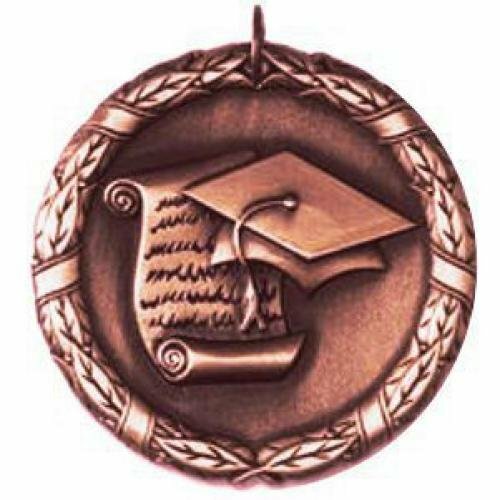 The BriteLazer Graduate Medal has a low relief Graduate design and is available in a bright gold, silver and bronze finish. These Graduate medals look great with your choice of a either a 7/8 inch or 1.5 inch wide neck ribbon. 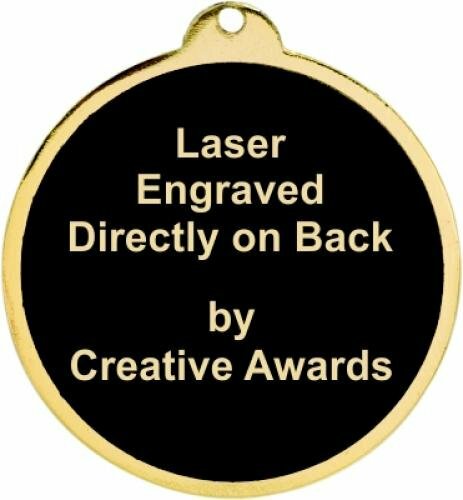 The back of these Graduate medallions have a 1.75 inch diameter black area on the back for laser engraving and can hold up to 6 lines of engraving with 10 to 15 characters per line. The Fusion Graduation Medal is a large impressive medallion. 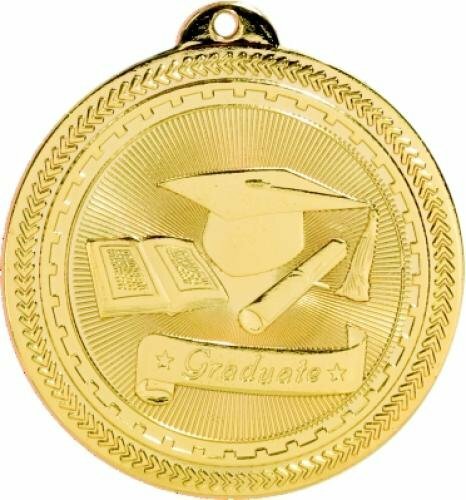 The Graduation medallion is available in Gold . These Graduation medals look great with a 1.5 inch wide neck ribbon. The back of these Graduation medallions have a laser engraved plate that can hold up to 7 lines of engraving with 12 ro 20 characters per line. 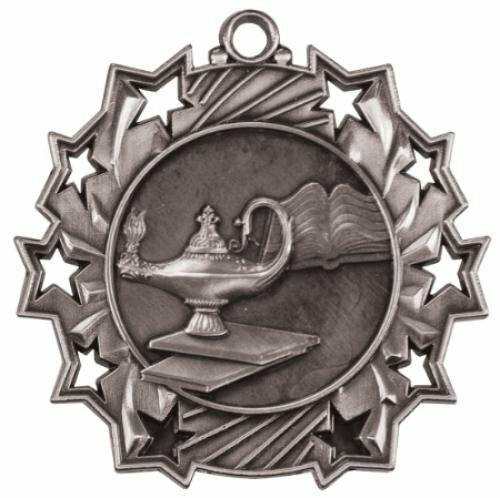 The Scholastic Graduate Medal is economically priced and perfect for a limited budget. The award medals are available in antique gold only finish. 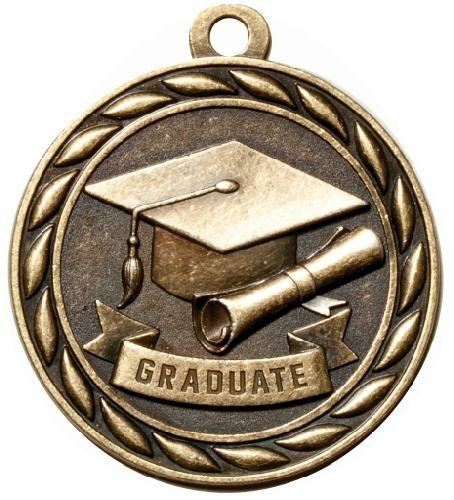 These Graduate medals look great with your choice of a either a 7/8 inch or 1.5 inch wide neck ribbon. 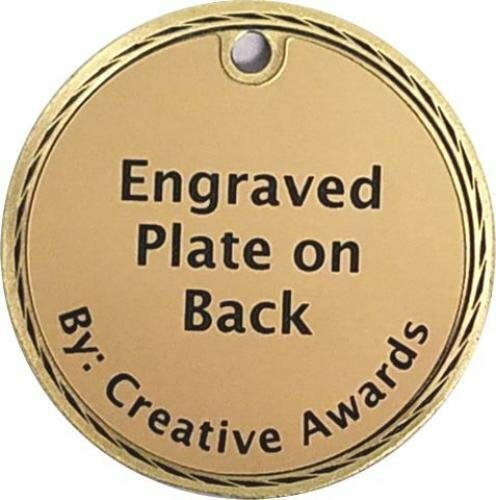 The back of these Graduate medallions have a 1.875 inch diameter space for an engraved plate that can hold up to 6 lines of engraving with 10 to 18 characters per line. 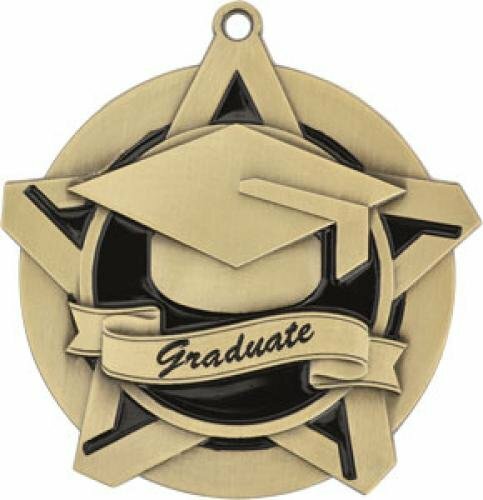 The Super Star Graduate Medal has a star with a black background and Graduate design. The Graduate medallion is available in bright gold only. These Graduate medals look great with your choice of a either a 7/8 inch or 1.5 inch wide neck ribbon. 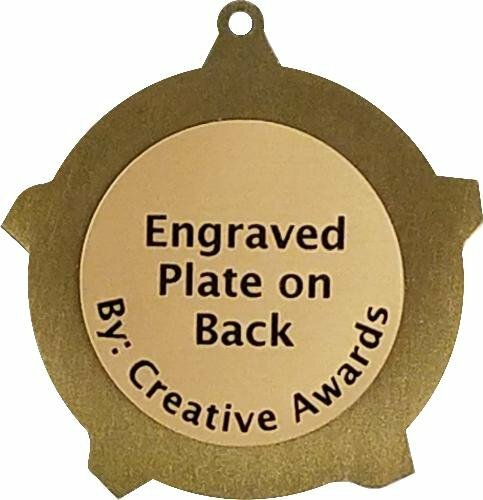 The back of these Graduate medallions have a round laser engraved plate that can hold up to 5 lines of engraving with 8 to 12 characters per line. 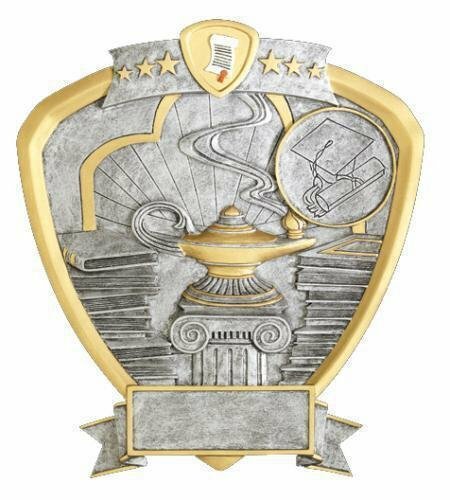 The Ten Star Graduate Medal has a fun design with 10 cut out stars around the edge and Graduate icons in the center. 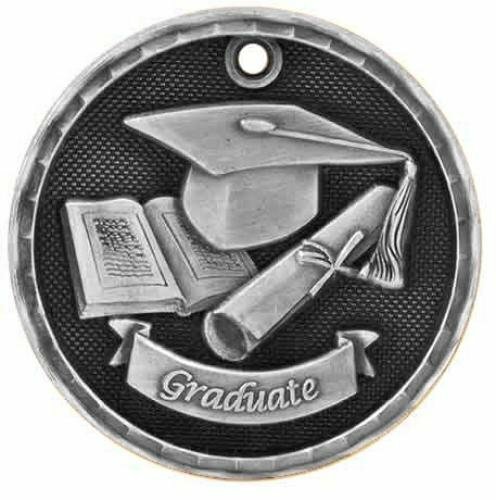 This Graduate Medallion is available in antique gold, silver and bronze. 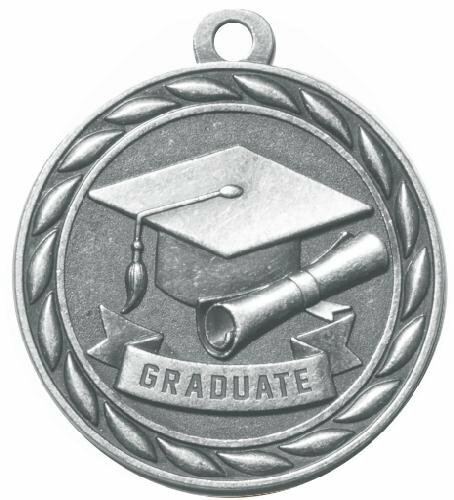 These Graduate medals look great with your choice of a either a 7/8 inch or 1.5 inch wide neck ribbon. 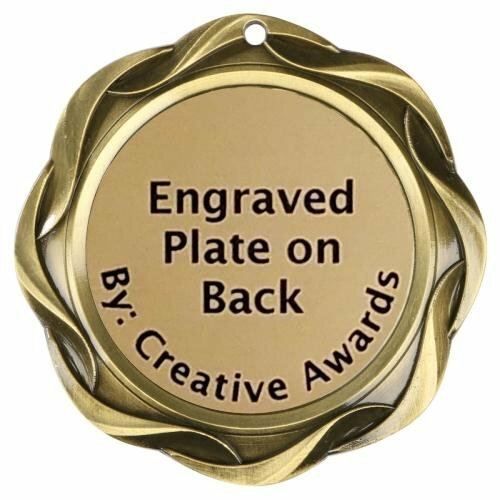 The back of these Graduate medallions have a 1.5 inch diameter space for an engraved plate that can hold up to 5 lines of engraving with 10 to 15 characters per line. The Value Graduate Medal is economically priced and perfect for a limited budget. 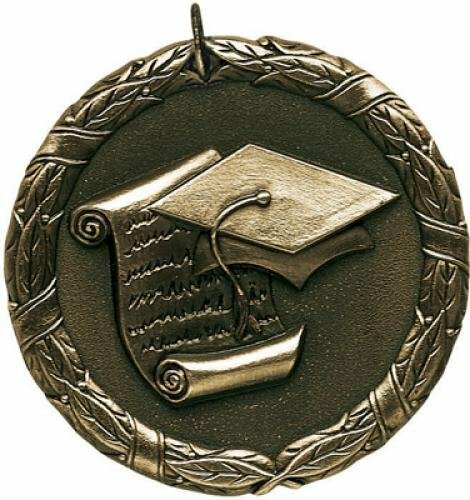 These Graduate medals look great with your choice of a either a 7/8 inch or 1.5 inch wide neck ribbon and are available in antique gold, silver and bronze. 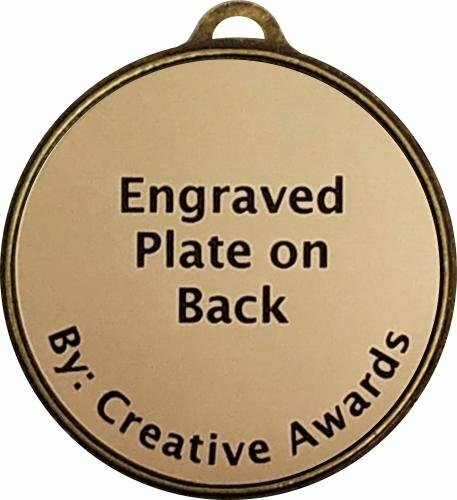 The back of these Graduate medallions have a 1.75 inch diameter space for an engraved plate that can hold up to 6 lines of engraving with 12 to 20 characters per line. The Wreath Graduation Medal has a beautifully detailed wreath edge with Graduation icons nestled inside. 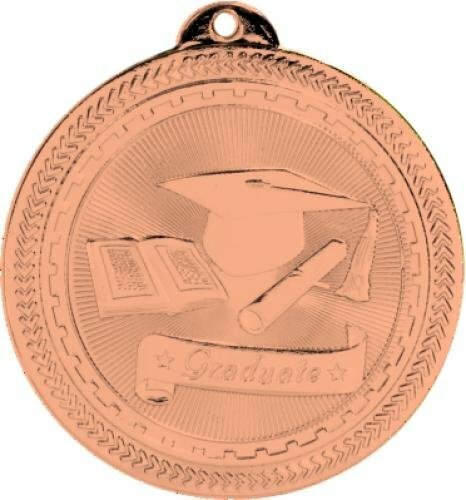 This Graduation Medallion is available in antique gold, silver and bronze. These Graduation medals look great with your choice of a either a 7/8 inch or 1.5 inch wide neck ribbon. 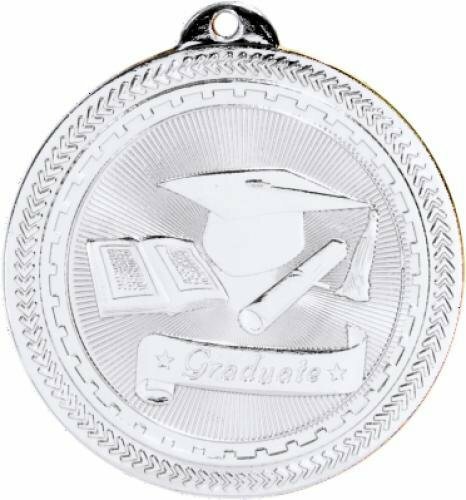 The back of these Graduation medallions have a 1.5 inch diameter space for an engraved plate that can hold up to 5 lines of engraving with 10 to 15 characters per line.